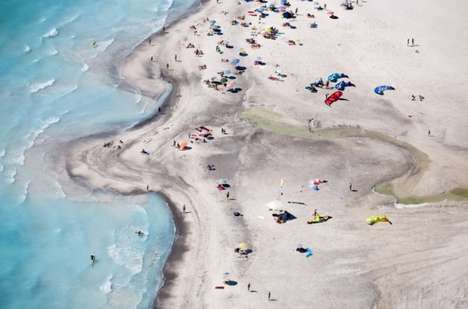 Massimo Vitali's Beach collection is another great example of large-scale photography. Vitali considers himself a "concerned photographer," and a job of such a person is to show and express issues through art. In this case, Vitali manages to speak to the masses about overpopulation. Vitali uses his photography to reproduce the subtleties of reality and lead others to them. The relationship between camera and photographer is a sacred one, and in this case, his message seems to be speaking to the masses. 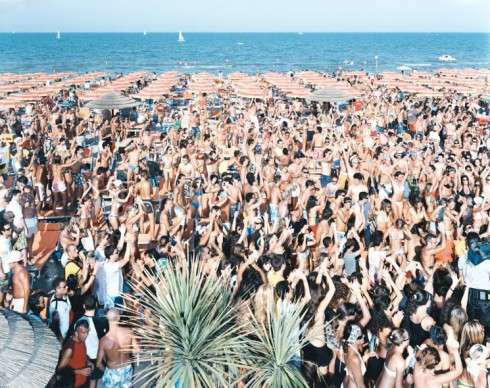 The Massimo Vitali Beach photo set is one that exposes the disturbance of normality, the oversimplified nature of leisure and the negative results of rigid conformism. If all you did was take one look at his photography, it might be difficult to see anything beyond the crowds and people and look into yourself for insight, but this is exactly what the photographer wants you to do.